Your birthstone color determined by the month you were born in. Most birthstones by definition are gems, however, all of them are minerals. Some of the most popular gems include diamonds, rubies, and pearls. The United States has created an official birthstone list, assigning a different color for each month of the year. It consists of 12 different minerals, each with varying gems of multiple colors. Since the beginning of time, humans have associated various gems and stones with symbolic events. These events can include anything from anniversaries and birthdays to biblical meanings and astrology. Throughout history the use of stones is evident in many ways. Since the beginning of humans, we’ve been making jewelry out of common objects such as shells. The making of jewelry and other things not needed to survive is the very thing that defines us as human. Early examples of birthstone use first appeared thousands of years ago. For example, in Exodus the bible talks about 12 different stones; most of which are used in our modern day birthstone color chart. Birthstones have a variety of uses besides symbolizing the month you were born. Some of the more practical things are industrial equipment such as saws, grinders, cutting tools, and even replacing silica sand which is used in traditional sand blasting. Many precious gemstones such as diamonds are being used as drill bits and saw blades. This is because diamonds (April) are thought to be the hardest material in the world and are virtually indestructible. The garnet (January) which is known for its abrasiveness is being ground up and used in sand blasting, as well as cutting through steal objects when mixed with water at high speeds. Since gems are natural and come from the earth they form in vastly different environments. The same gem can be the same birthstone color as another gem of a another month. For instance, turquoise (December) having multiple colors can still represent your December birthday without being the traditional purple color. This allows people who aren’t happy with their original birthstone color to switch to another color but still keeping their original birthstone. This practice is common with blue birthstones as this color is seen amongst many months. 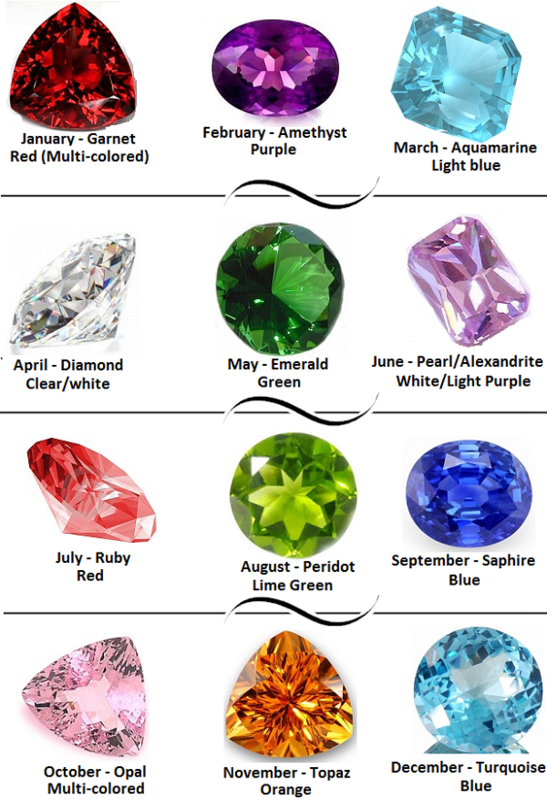 What color is your birthstone month? The garnet gems are often associated with the January Birthstone color. They are usually red, but can be found in a vast array of colors such as green, yellow, and the rare blue. Often garnets will change appearance depending on the lighting. Garnets symbolize a variety of events, and not just birth stones. In fact garnets are recognized around the world as New York’s gemstone, and Connecticut’s state mineral. It’s also commonly a symbol for a 2nd-Anniversary. Garnet stones have many species which include Almandine, Pyrope, Spessartine, Andradite, Grossular, Uvarovite, and Knorringite. As well as being used in an array of jewelry items, the garnet also has industrial uses. The gem by nature is a very abrasive substance when ground in to sand. It’s starting to replace silica sand which is used in sand blasting. It’s so abrasive it has the power to cut through steal when mixed with water at high speeds. Each region of garnets varies in abrasiveness, and currently the best and most widely available areas are Australian and Indian coastlines. These areas are well known for huge amounts of clean and reliable gem stones. Other areas are known for their extreme ages such as America, India, and China where the Garnet is mined. Garnets are fascinating in the fact that they come in multiple colors and some even change colors throughout the day! The color will depend on the light source it’s getting. The alexandrite-like color change is one of the best. It changes from a blue green in the morning to a purple in the evening. The amethyst or February birthstone color is a type of quartz, and was thought to protect an owner from drunkenness in ancient Greece. 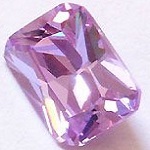 First uses of this purple gem are by Egyptians, and the Germanic Anglo-Saxon people. There are many different shades of this gem. The deepest purple and most sought after color is called Siberian and Deep Russian. These gems hold a separate value from other amethysts and are some of the most expensive. The general market for amethyst gemstones quickly faded in the 1800s when large amounts were found in Brazil. Alternatively you can get the lighter and less luxurious Rose de France. The value of the amethyst is greatly decreasing due to the saturation of the market, however, you can still find some expensive and rare deep shades of purple that can cost 10s of thousands of dollars. Along with being a symbol of birth in February and relieving drunkenness, it’s also goes along with Pisces and Aries which are astrological signs. Most of the world’s amethysts are now mined in Brazil. With this gemstone, you do sacrifice quality with quantity. Brazil produces amethysts that are lighter in color compared to their African, Austrian and Uruguay counterparts. However, previously to that massive find they were mined in South Korea, Austria, and Russia. The rarest most expensive diamonds are found in Russia. These have the deepest color purple in them and are of course the most sought after amethyst. This gemstone is found in lakes and even inside of volcanic rocks. 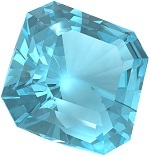 Aquamarine is a transparent gem with a slight blue tint to it. It’s commonly associated with the March birthstone color. It can be found in a variety of colors such as white, yellow, pink, blue, and even light shades of green. Aquamarine can be seen in popular culture in various forms including the state gem of Colorado, and keeping sailors safe at night. The most commonly mined area for this gem is Russia and the United States, but it can be found in many places throughout the world. This beautiful intense blue stone makes for a good gift during all special occasions. Diamonds are some of the most interesting minerals out there and are the April birthstone color. Not only have they been found on earth, but also on asteroids. In South America scientists are finding diamonds (called carbonado) from an asteroid impact that happened over 3 billion years ago! The first discovery of the diamond can be traced back to India over 3-6 thousand years ago. Originally it was called Vajra which means lightning. They called it that because of the diamonds superior strength and how it reflected sun light. Diamonds have been worn by kings for thousands of years as a symbol of strength and courage. Warriors have embedded diamonds in to their armor to protect them, kings in their crown, and women on their jewelry. Along with healing powers, diamonds were even thought to have been tear drops from gods. Coincidentally, diamonds are the hardest known mineral on earth and are currently used in many industrial settings. Not surprisingly, it’s used for saw blades and grinders as well as many other machines requiring a durable edge. Bort, a type of a diamond that is unusable for use in the jewelry industry is used to make these blades. In fact, around 80% of all diamonds minded are Bort and used for heavy machinery. Due to diamonds practical use and people’s desire to use this precious gem for jewelry, diamond mining is a 9 billion dollar a year industry. There is a lot of controversy in the diamond mining industry. The majority of our diamonds are minded in Africa and the native people are being forced to work for little or no wages. The money earned from the mines can go directly in to the pocket of a war lord to fund further conflicts in that part of the world. A number of countries including the United States have stepped in and set regulations on diamonds imported in to the country. Illegally mined diamonds are known as blood diamonds, while every legally mined diamond will be certified and exported through proper channels. Funding wars and practically enslaving people isn’t the only controversy revolving around this precious gem. De Beers, the world’s leader in diamond selling controls 90% of today’s market. This diamond monopoly helps keep the price of this gem as high as the market will allow. When mined, all of the diamonds are not released to the market. Instead they are kept in a vault as to not flood the market. This keeps supply of the diamonds low and in turns raises the value of it. Diamonds are fairly rare, but not as rare as De Beers and other corporations would like you to believe. 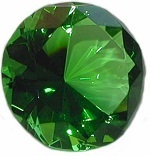 The Emerald is a light to dark green mineral. It’s commonly accepted as the May birthstone color. Emeralds have a deep history and can be traced as far back as the ancient Egyptians. Emeralds were worn by kings, and other people of stature. Remnants of large mines were found in the southern parts of Egypt around the Red Sea. Another historical use for Emeralds was in the Holy Grail. Embedded in this cup is a series of Emeralds. The Holy Grail is commonly thought to have been present at the last supper, over 2000 years ago. Emeralds are commonly mined Colombia, however significant amounts of stones also come from Brazil and Russia. Like diamonds, scientists have invented synthetic Emeralds. It’s important when buying this gem that it be analyzed carefully, as it may be a forgery. Pearl (white-light purple) is the accepted June birthstone color. As well as birthstones, pearl is also used to celebrate a series of anniversaries. Pearls come in a wide variety of colors. They can be a lighter pink, to white, to even a solid black color. Many cultures admired the marvelous beauty of pearls. Ancient Chinese cultures thought pearls were formed in the brains of dragons. Other cultures thought that it was a god’s tear drop. Pearls originate deep under the sea in a mollusk. They’re usually found in the Pacific Ocean, however, they can be found in fresh water as well. While not typically round, sub par and oval shaped pearls are often found in fresh waters. At one time pearls were only worn by the rich. In modern days, anyone can own a beautiful necklace made from this wonderful gem. Humans have since perfected the art of pearl farming, and can now produce them on a massive scale. We should also mention that June has multiple accepted colors, another being Alexandrite which is a very light shade of purple. Ruby (along with the unofficial Onyx) is the official July birthstone color. Rubies were among the most prized Indian gemstone. They were worn by people of royalty and were symbols of good health. Some people even believed that the rubies could fight off evil spirits. Rubies had many practical uses as well as symbolizing things. They could be used as weapons when formed in to bullets for blow guns. Alternatively it’s said that grinding up a ruby on your tongue cures indigestion. Rubies are mostly red, some of them having a purple tint. 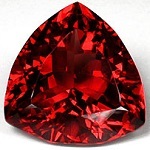 The most expensive types of rubies are the deepest and purest red ones. Rubies are mined all over including India, the United States, and parts of the Middle East. Peridot crystals (pale green), sometimes called evening emeralds are the August birthstone color. They have played a large role in ancient cultures and still continue to play a role today. Mining operations of this mineral have been found as early as 1,500 years before Christ. The Egyptians used it to ward off evil spirits and when mounted in gold it would protect against bad dreams. Today peridot is no longer mined in Egypt. It’s found in various countries such as the United States, Africa, the Middle East, and South America. Peridot is unique in the fact that there are no alternate colors, it’s always lime green, sometimes with a yellow tint. The largest gemstone of this type found was a 310 carat rock which is now housed in the Smithsonian. Sapphire (blue) is a multi colored and extremely unique September birthstone color. In fact, sapphires can come in all colors except red. When heated to over 1,800 degrees Celsius, the gemstone will release color impurities. A stone with traces of brown or gray will be a perfect blue when the process is completed. Some people prefer the natural gemstone and consider such methods unnecessary. The most valued stone is the Star Sapphire. The unique pattern on the gem is in the shape of a white star. Like most gems, the value of a sapphire depends on the deepness of the color, the carat, and the visibility (if present) of an asterism. Like other gemstones, you can purchase synthetic versions of the gem. Significantly cheaper, such stones may offer significant advantages. The October birthstone color appropriately comes in pink, orange, black, and a wide variety of other colors. Opal is an odd mineral. It contains as much as twenty percent water, but typically is around 3-10%. Opal’s rare and expensive colors include red and black. The common and easy to find colors are white and green shades. Exotic versions of this gem include Fire Opal, and Peruvian Opal. Fire Opal consists of a translucent base with a shade of yellow, orange, or red. Peruvian is a stone found in Peru which is blue and green. Australia is the number one producer of opal in the world. However, rare varieties are found in other places across the world including the United States and Mexico. Because of the mixed colors in opal it was often thought to be good luck. Historically people assumed that because of those colors, it contained a little bit of all the other precious gemstones. Oddly enough, in modern times, especially in Russian culture, opal is seen as a bad omen. 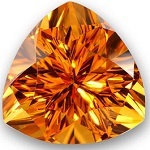 Topaz is the traditional November birthstone color. It has a classic beauty with its yellow to golden brown tones. A hard and transparent gemstone, topaz is basically a compound made of silica, aluminum and fluorite. On the Moh’s scale, its hardness is 8. This gem is usually heat-treated and is commonly called “precious topaz” to set it apart from the famous blue topaz. Topaz can be mined in various colors and could also be treated to become blue or green. The most common is still the colorless or light golden brown topaz that is usually used instead of diamonds in jewelry. The most valuable and precious color for topaz would be the untreated pink and red. A pink color is obtained from heating the light brown topaz. Because of this, you would therefore need to be very careful if you are buying pink topaz. You could probably ask the seller if the gem is treated or natural. In the Book of Exodus, Topaz was one of the High Priest’s twelve breastplate stones. These breastplate stones were considered to be sacred to the twelve mighty angels that guarded Paradise’s gates. In the Middle Ages, Topaz was actually believed to have the power to heal physical and metal disorders, as well as the power to prevent death. Ancient Greeks believed that it had the ability to provide additional strength and that it could make the person wearing it invisible. Ancient Romans believed that it had the ability to improve eyesight. The Egyptians even wore it as amulets to protect them. Turquoise (purple) is the official December birthstone color. Its hue could range from the typical green blue to light sky blue. Turquoise obtained its name from the French phrase “pierre turquoise” which means “Turkish stone”. There are others who believe that its name is derived from the word “fiouze” which is Persian for the color turquoise. As early as 6000 B.C., the ancient Egyptians have mined turquoise. A lot of people are amazed when they find out that the best and finest turquoises are actually mined in Iran and not in the American Southwest. There are beautiful specimens, however, which are found in New Mexico and Arizona in the United States. There are also good varieties in Afghanistan, Australia and other areas in the Middle East. Considered as Sacred Stones for a long time in the past, turquoise has been valued as a talisman, a holy stone and a good-luck charm. In 3000 B.C., when Egyptian tombs were excavated, archaeologists discovered the oldest living proof that man was interested in turquoise. The gemstone was used in the ancient times as decorative artifacts, which were buried with those who died. As Queen Zer’s tomb was unearthed in 1900, one of the first pieces of jewelry that was discovered was on her wrist – it was a gold and turquoise bracelet. In ancient Persia, these sky blue gemstones were actually worn around people’s necks or on their hands to serve as a protection from unnatural and sudden death. They believed that if the color of the gems changed, it was a sign of imminent danger for the person wearing it. Turquoise also held a sacred position in the North American Indians’ religious rites, as well with the Tibetans’ belief, whose shamans always included the gems in their ceremonies and rituals. Turquoise has been said to have the ability of promoting spiritual and mental clarity for the enhancement of wisdom, kindness, trust and understanding. Presently, turquoise is believed to have the power of promoting prosperity. It is also considered as a good-luck charm for flight staff, aviators and other people who want to ward off accidents. The happy and bright color of this gemstone is also said to have the ability of giving self-confidence to people with passive personalities. It is also used as a popular token of friendship, since it has the reputation of being able to bring about faithfulness in relationships.